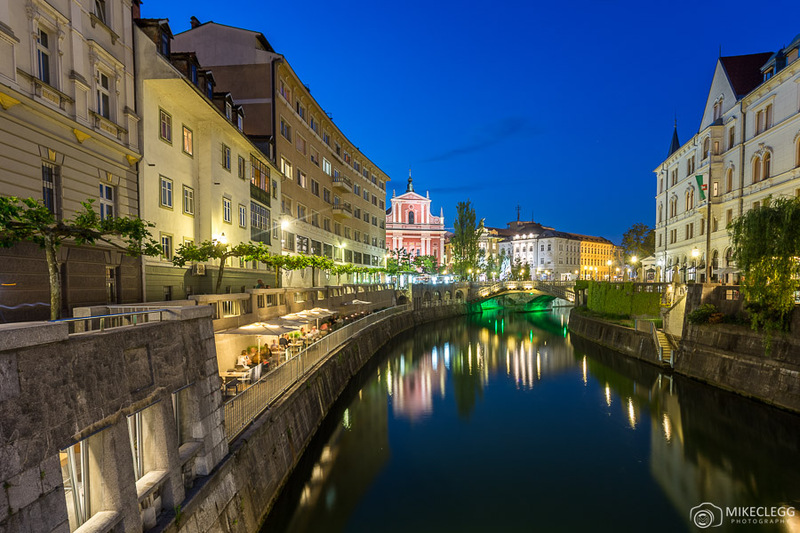 Ljubljana in Slovenia is very photographic, and throughout the city there are lots of great photography spots from high viewpoints, river views and cute streets. 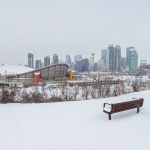 In this post, I will tell you the best Instagram and photography spots that I’ve found during my visits. As well as the spots you’ll find my recommendations on the best time to take pictures, whether the location is free or not, and a link to the spot on Google Maps. 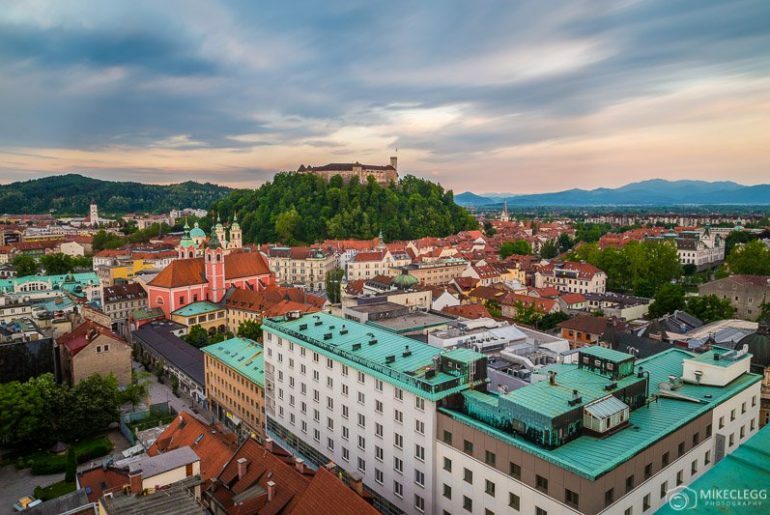 Here are some of the best and must visit Instagram and photography spots in Ljubljana. From Ribja Brv Footbridge you’ll be able to capture some classic views towards the Franciscan Church of the Annunciation, and also potentially get reflections in your shots. This spot is good almost anytime and I would recommend re-visiting to take pictures in a different light. 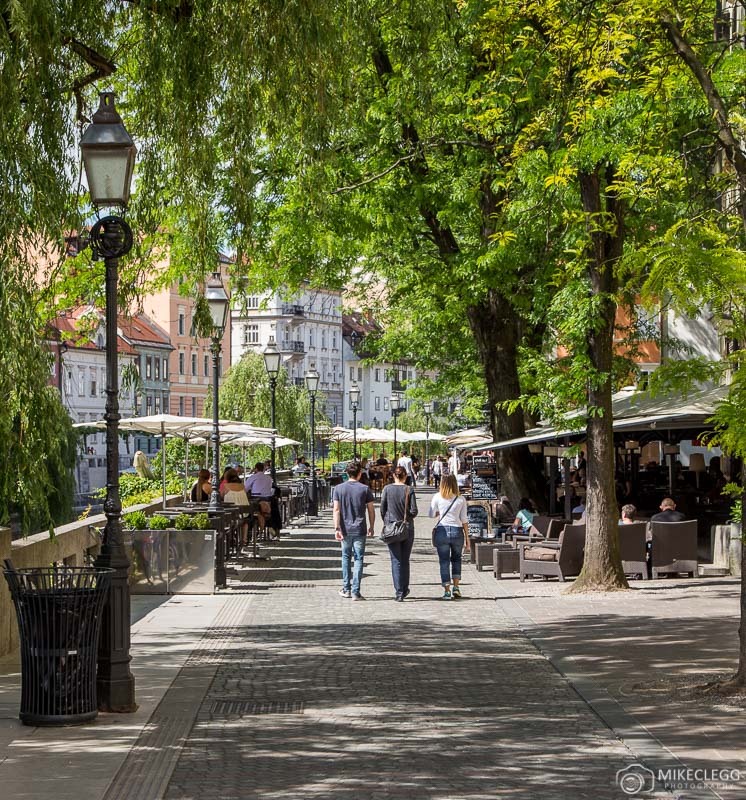 One of my favourite spots in Ljubljana is along “Cankarjevo nabrežje” (street) by the side of the river, where you’ll find a lot of al-fresco dining restaurants. From here if the water is still, ie no wind, boats etc, you should be able to get perfect reflection shots of the colourful facades lining the river. 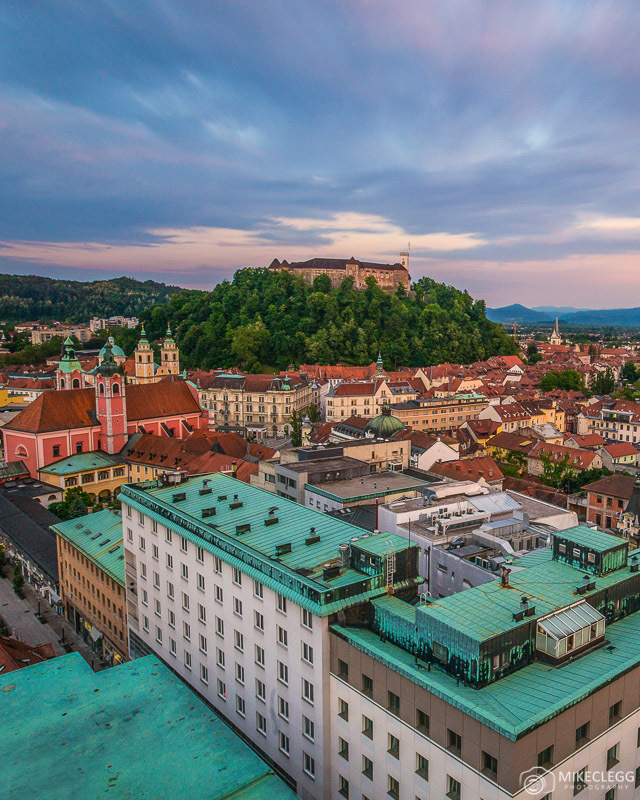 From Ljubljana Castle, you’ll get to enjoy the highest views over the city. I’ve only visited during the day but this may potentially be a good spot for the blue hour. 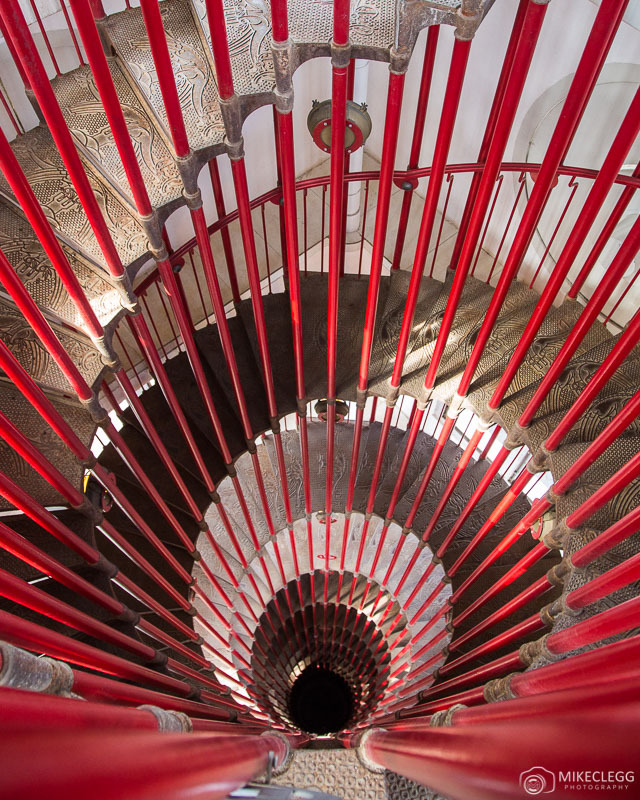 Also inside the castle is an awesome staircase that you can see below. This bridge is pretty cool and one of the oldest in the city. From this spot you can capture the pillars that come out of the bridge, with historic facades on either side. My favourite viewpoint in the city is from the Nebotičnik skyscraper, which is also a bar/cafe where you can enjoy affordable refreshments. The staff are also quite nice and seemed cool with tripods being used. This bridge isn’t the easiest to capture, so instead of trying to capture the entire bridge, try and isolate a section of it, such as what I’ve done below. 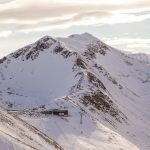 You could also try and head here when it’s less busy, such as in the morning, and try and use a friend or yourself to add an interesting human element. 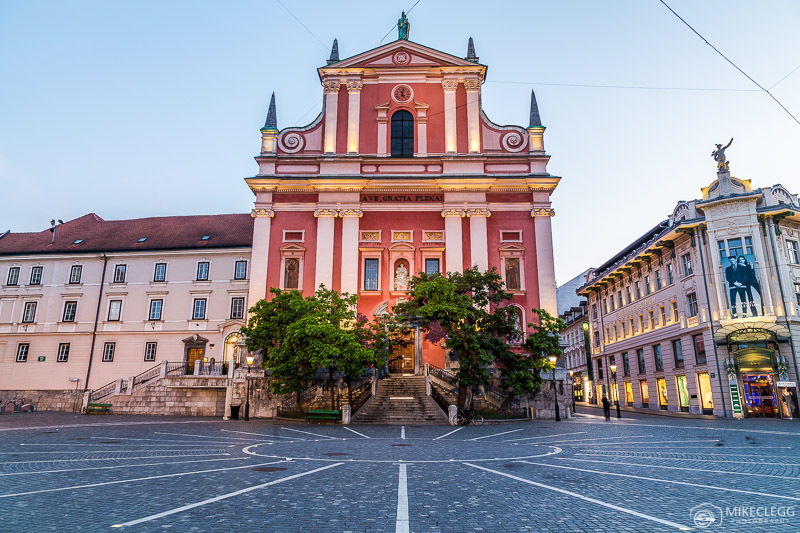 Prešeren Square is the main square in Ljubljana, and depending on your style of photography you may be able to get some good shots. The church is also a nice red so perfect for photography. The Dragon Bridge is probably one of the most famous bridges in the city. 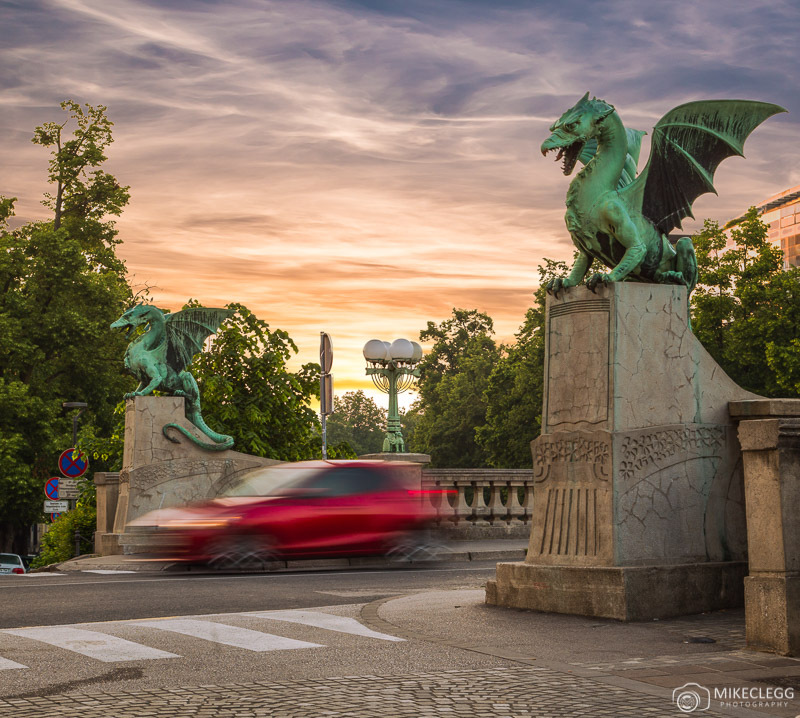 At both sides, you’ll find two dragons and I found a good way to take photographs is to use an ND filter and take a slightly longer exposure that shows the movement of traffic. From Mesarski most (bridge) you’ll be able to get a nice view towards the Triple Bridge and the architecture lining the river. If you’re feeling creative you could also try and include the padlocks that are attached to the bridge in your image. The main town square is nice with a fountain, cobbled streets, nice facades, al-fresco dining and churches nearby. If you want it quiet come in the morning, but if you wanted to show street life then the afternoon may be good. 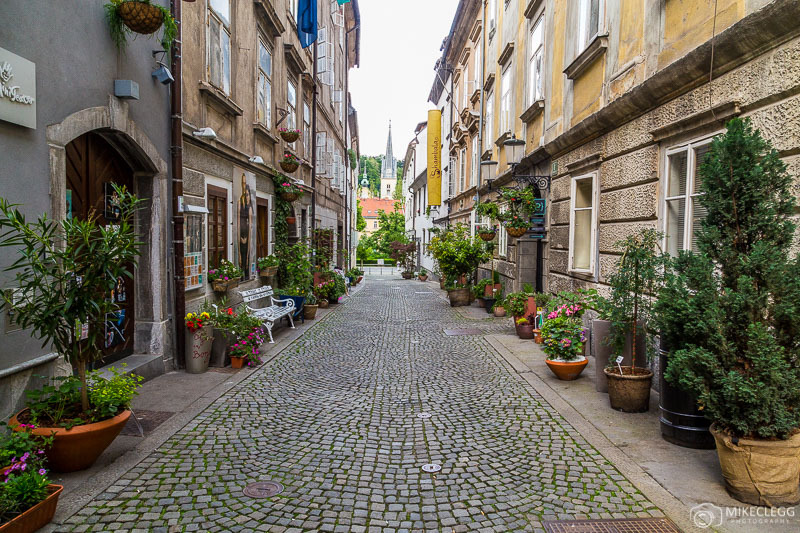 Stari Trg is a narrow street that leads from the Town Square. Along it are nice facades and shops, as well as sometimes al fresco dining setups as seen below. 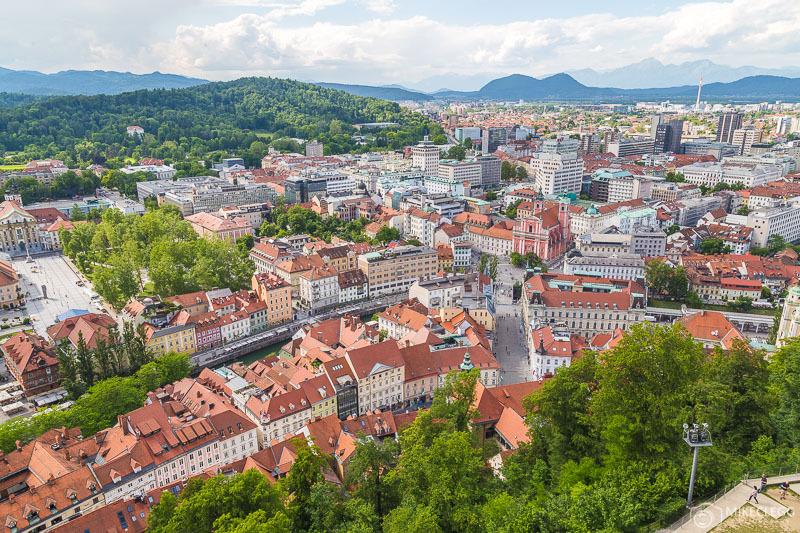 I think of “Križevniška ulica” (street) as almost a hidden gem and somehow during my first visit to Ljubljana I stumbled across it. I loved the large number of plant pots lining the cobbled street with the church in the distance. This street is likely best from Spring to Autumn as it didn’t look this nice in the winter. 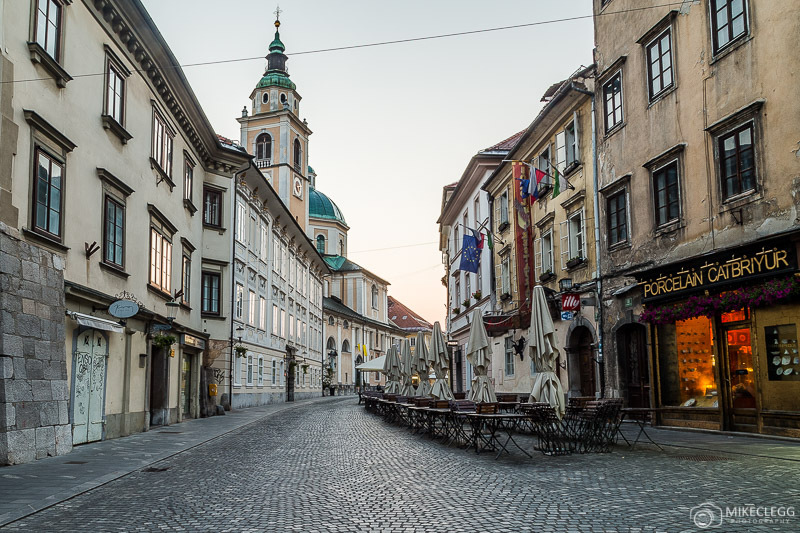 Some of my favourite facades in Ljubljana are along “Gallusovo nabrežje” (street). They remind me a little of the tall skinny architecture that you see in Amsterdam. To take pictures you want to stand on the opposite side of the river, and from some perspectives you can frame with the Castle in the background. 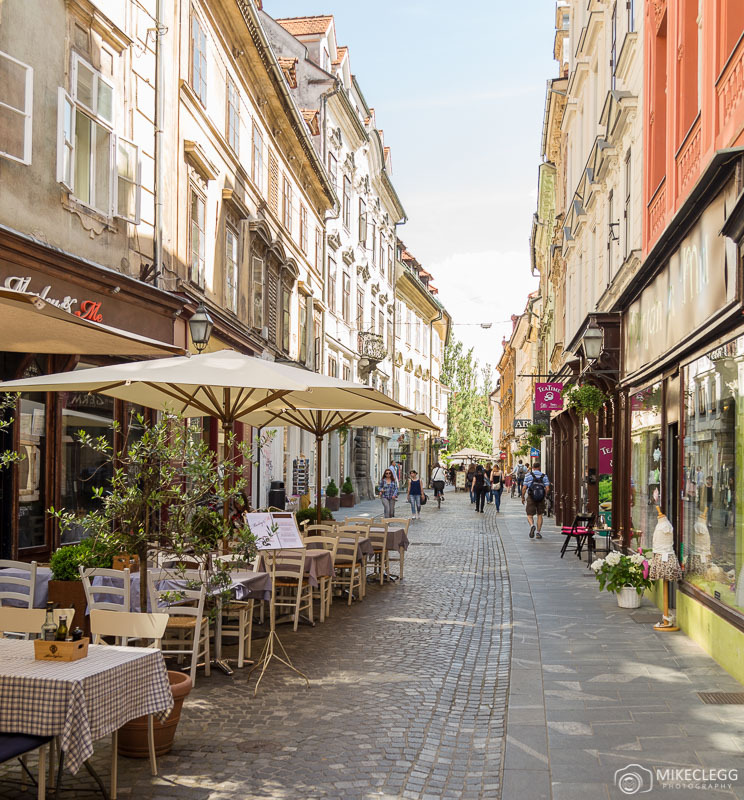 Cankarjevo nabrežje (street) is one of the top streets for street-side dining and throughout the summer is a great place to relax with a nice cold drink. It also makes for great photographs with nice foliage, lamp posts and from some angles you can capture the Franciscan Church of the Annunciation in the distance. 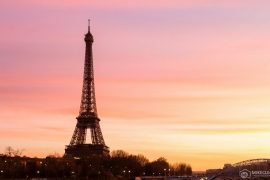 Use an ND filter when taking pictures during the day, or for longer exposures at sunset. Take pictures of the skyline at night and remember to use a tripod. 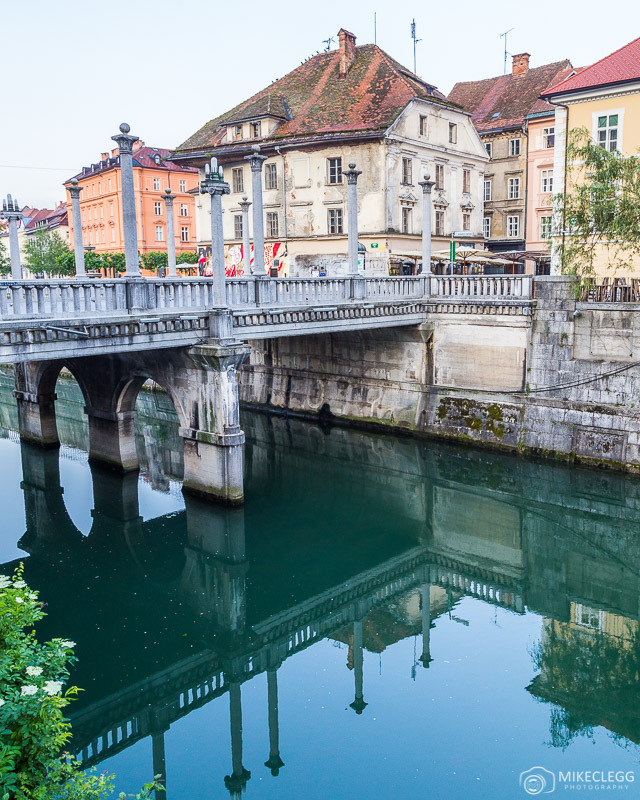 Explore the city and along the river in the morning for quiet streets. Try and capture reflections in the river which will enhance your composition, especially for Instagram. Add people/friends to your photographs for a nice human touch. 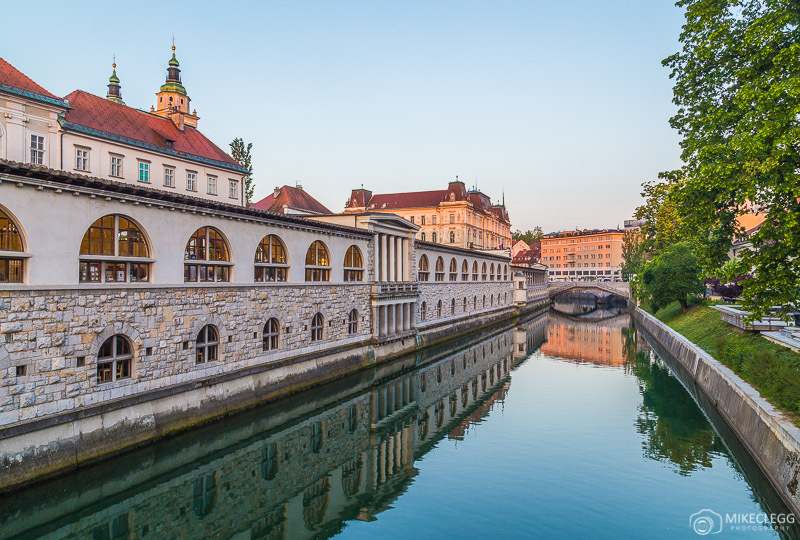 A visit to Ljubljana will be sure to give you lots of fantastic photo opportunities. 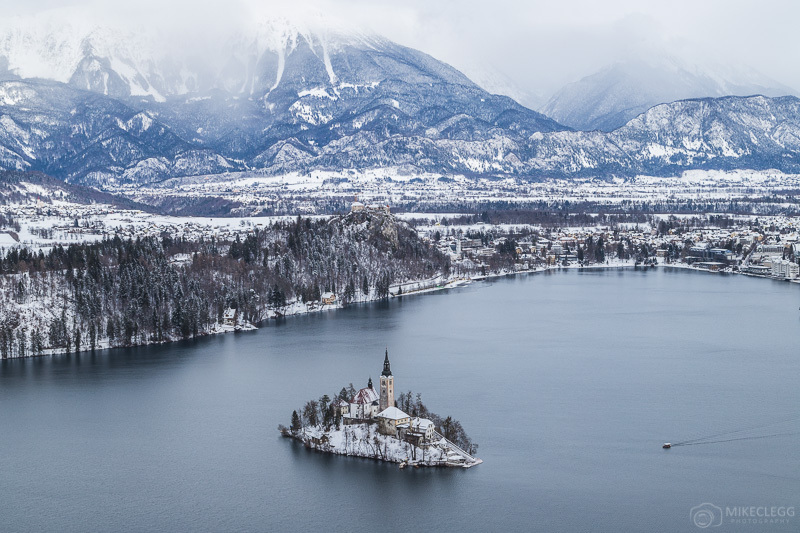 As well as Ljubljana you may want to visit Bled Lake which is an hour bus ride from the city. 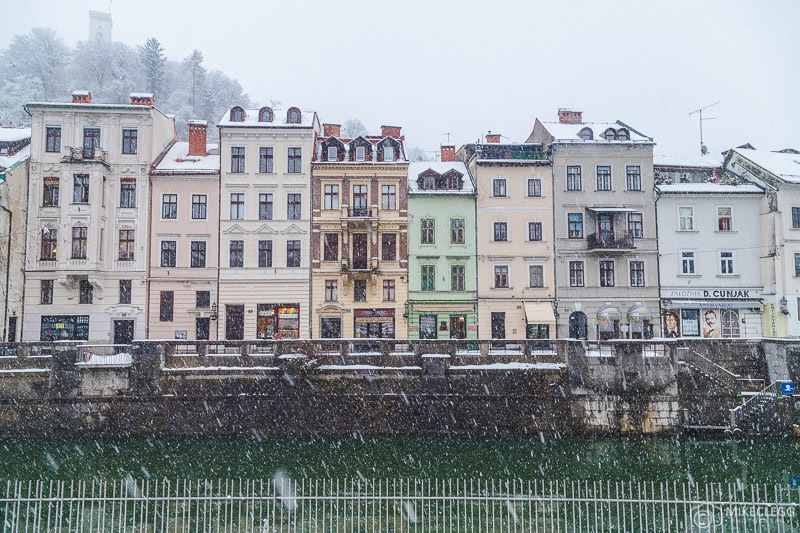 To learn more about Ljubljana head to City Breaks: Quick Guide to Ljubljana and to see some of my winter pictures visit In Pictures | Snowy Winters in Ljubljana and Bled. Have you ever been and do you know of any other good spots for Instagram and photography? Please leave a comment below. Recommended hostel: AdHoc Hostel – A cool hostel in a great location along the river. Recommended hotel: Galeria River – Located along the river and a short walk from the centre of the city, this hotel provides clean bright rooms and for a good price. 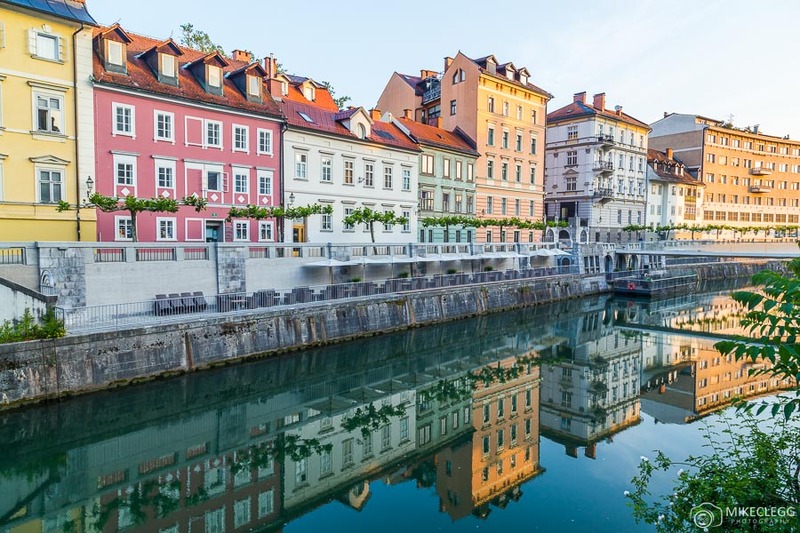 Hey Buddy!, I found this information for you: "Best Instagram and Photography Spots in Ljubljana". 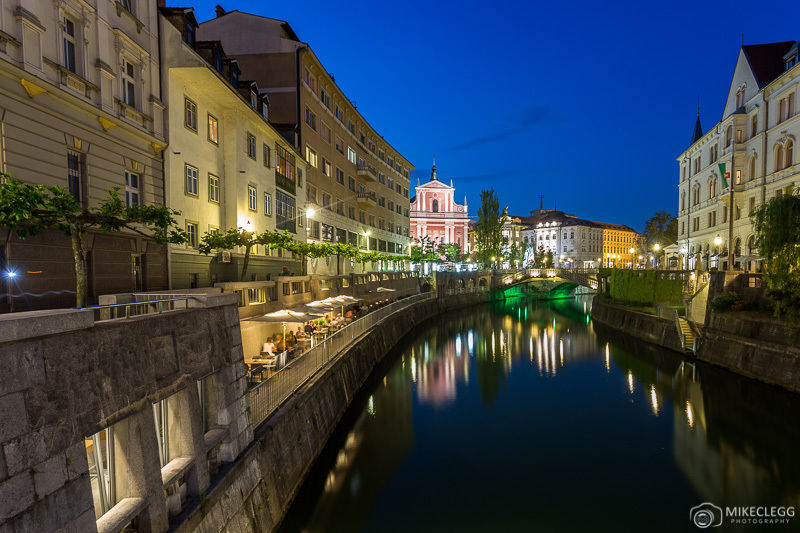 Here is the website link: https://www.travelanddestinations.com/best-instagram-and-photography-spots-in-ljubljana/. Thank you.